This BioProvince (as defined by Armen Takhtajan) includes part of southern Albania, most of peninsular Greece, Evvia, Peloponnesus, the Ionian Islands, islands of the Aegean Sea, Crete, Karpathos, Cyprus, the Gallipoli Peninsula, the northern shores of the Sea of Marmara, the coasts of Syria, Lebanon and Palestine. A few enclaves also occur around the Black Sea shores of Anatolia. The geology is complex while the climate is typically Mediterranean with mild rainy winters and dry, hot summers. The flora comprises over 20 endemic genera including Aaronsohnia, Astoma, Bolanthus, Chaetosciadium, Cytisopsis, Didesmus, Dorystoechas, Gonocytisus, Horstrissea, Hymenonema, Lindbergella, Lycochloa, Lyrolepis, Microsciadium, Ochthodium, Petromarula, Procopiania, Synelcosciadium, Thurya and Trochocodon, and a multitude of endemic species. 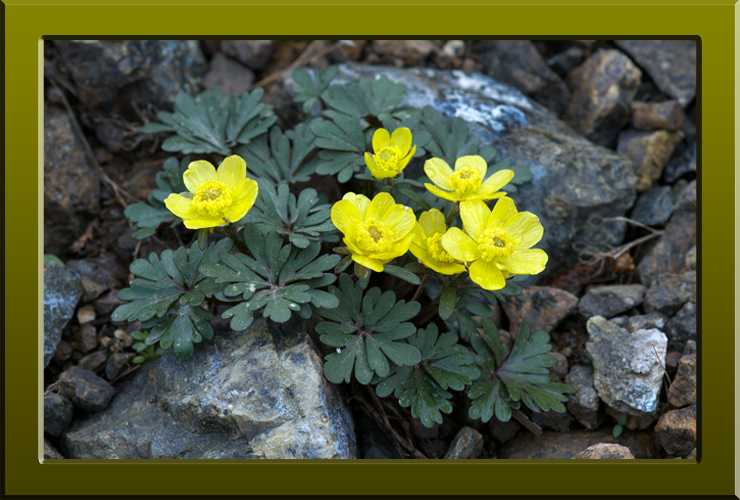 Ranunculus cadmicus var. cyprius (Ranunculaceae) one of the many plants endemic to Cyprus (Copyright © 2010 Peter Martin Rhind).